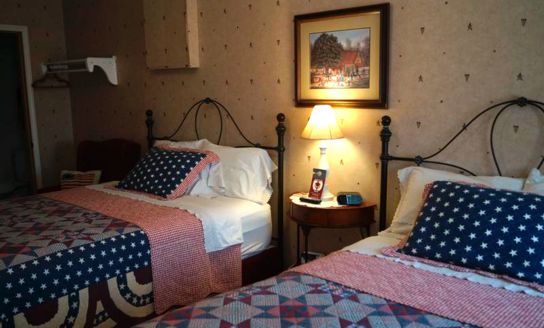 Each room, except the Caboose Room, is named after the people you have read about in The Little House books. The Caboose room was named by a granddaughter. Please keep in mind that five of our six rooms are on the second floor; no elevators! 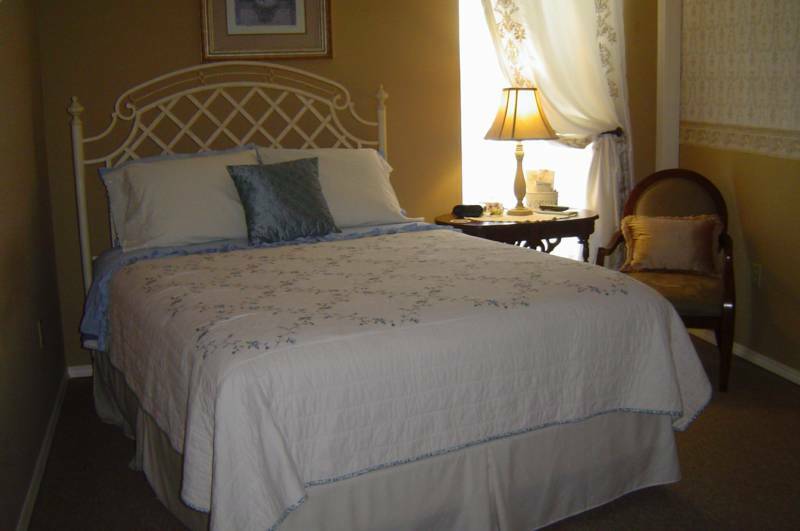 And YES all rooms have air, heat, and private bathrooms! 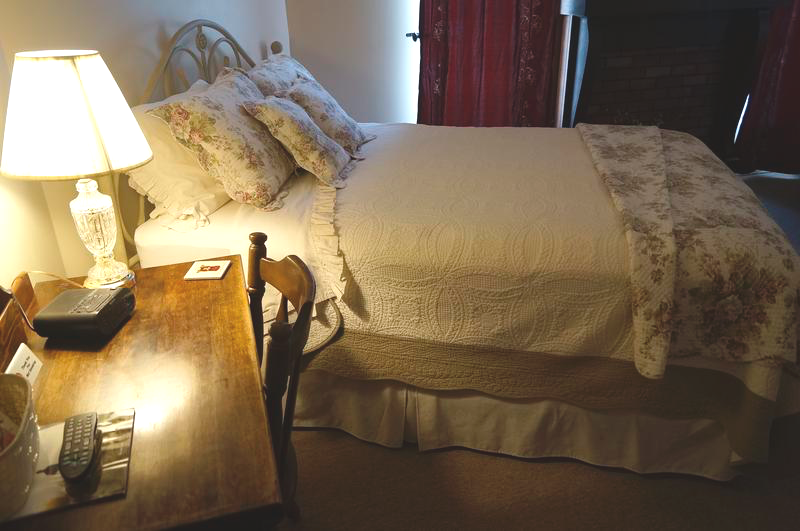 Calm is a great way to describe the Rose Room.There is a queen-size bed, a full-size bed and a private bath, all for your comfort. 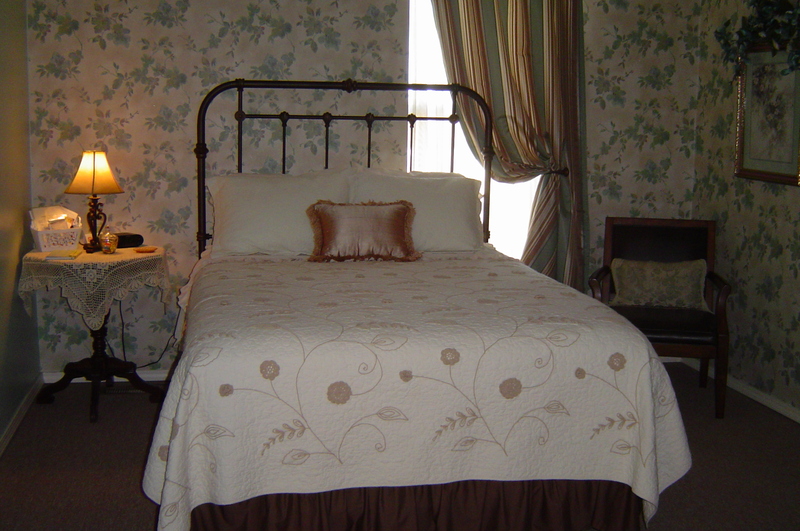 In front of the antique fireplace mantel, sits a twin hide-a-bed that is very comfortable. It also has a beautiful view of the city square! Sleeps 5. Great for a small family! Decorated in soft yellows & greens to make it feel bright & cozy! 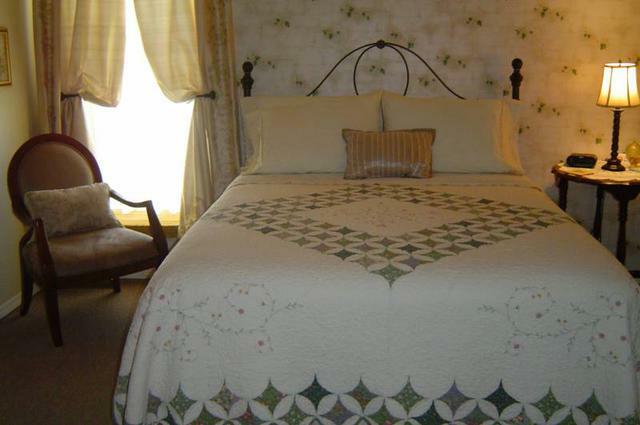 It features a queen bed, a sitting area and its own bath! Warm & fuzzy best describes this one! It overlooks main street with a view of one of the first original banks. A wonderful place to relax. Read a book in a comfy chair by the window or just sit and watch the world go by! Our smallest room, but cozy with the old time feel of a railroad town. Shower only. 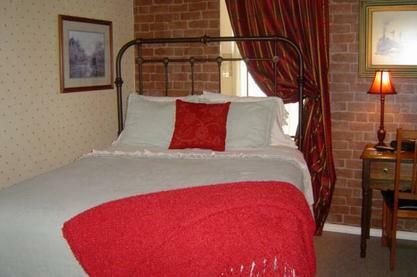 This fun room is featured in red, white and blue and has a queen size and full size bed. It is conveniently located on the downstairs level. It is a street-side room, so there may be street noise. 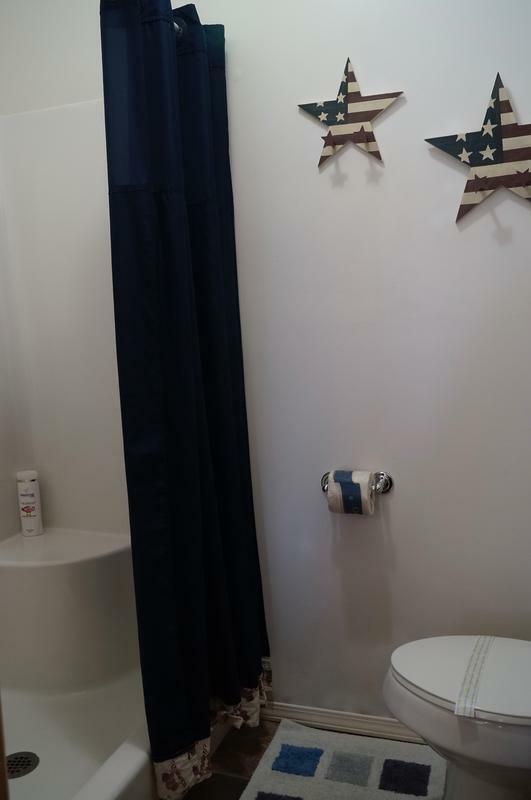 This room has a walk-in shower. Sleeps 4. WiFi is limited in this room, but it is available in the lobby. Each one of our many rooms are unique and await your arrival.